Every search begins with a question. 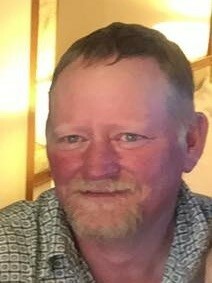 For my uncle Robert Joe Sisco, his search began in 2014 when he asked, “Is Donald Ray Jones my biological father, and do I have more siblings?” Before I tell you about his search, I will tell you a little about his family. Rob’s mom Velma Willene “Billy Sue” Payne had filed for divorce from her husband Ray Elza Sisco, the father of her four older children, in January 1966 when he ran off with another woman. Yes, Ray was quite the “lady’s man.” Billy Sue was a beautiful, vibrant woman and soon met and started seeing Donald Ray Jones. It seemed that a new family was being built. 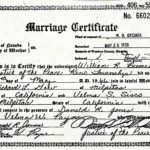 Donald signed as a witness for the marriage of Billy Sue’s oldest daughter Velma Sue “Suzie” Sisco to Richard Lineol Gow in May 1966. By September of that year, Donald had taken up residence with Billy Sue and her young family. It wasn’t long before Billy Sue realized she was pregnant. Now both she and Suzie were going to have children within six months of each other. Shortly thereafter, Donald left one day to take Billy Sue’s poodle to be groomed and never came back. In June 1967, Billy Sue was blessed with a bouncing red-haired, blue-eyed baby boy, who she named Robert. In 1969, Billy Sue found Donald living in Santa Rosa, California. She decided to file for child support. On the day of the court hearing, her daughter Suzie sat outside the court room holding little Rob. The judge asked for Rob to be brought in and upon seeing the toddler he declared “Guilty, that baby is definitely yours!” Billy Sue was awarded support of $50 per month. It isn’t known whether she received it. As time went by, a surprising turn of events happened. Billy Sue and her ex-husband Ray Sisco reconciled, and Ray raised Rob as his own. The following years were full of wonderful father-son bonding including fishing, hunting, and motor cross and a shared love of playing music and singing. Rob didn’t learn about his birth father until he was in his teens and saw an unfamiliar name listed as his father on his birth certificate. Although it came as quite a shock to him, the father-son bond between Rob and Ray was unshakeable. Rob decided, out of respect for his parents, not to seek out his biological father. The years went by. Rob joined the Marines, married his high school sweetheart, T.C., and had two sons. Rob continued to play music and formed his own band, Four Blind Mice. When Rob’s boys became interested in baseball he started coaching and became a certified umpire. He also found a passion for golf and started coaching high school golf. In 2014, after both of his parents had passed, Rob was ready to search for his paternal family. He wondered if Donald was still living and if he had other siblings. We had a few documents to help get us started. Donald had left behind his Sambo’s Pancakes Pay-Off Form. It confirmed that he was living with Billy Sue at 470 Carnegie Drive, Milpitas, California, in September 1966 and included his Social Security Number and signature. His signature matched the signature on Suzie’s marriage record. The court records confirmed that Donald was Rob’s biological father. These bits of information gave me a great starting point. I quickly discovered that Donald had passed away in 1997, long before the search began. However, his obituary provided a glimmer of hope for making family connections by naming two of Donald’s living children, including where they lived at that time. 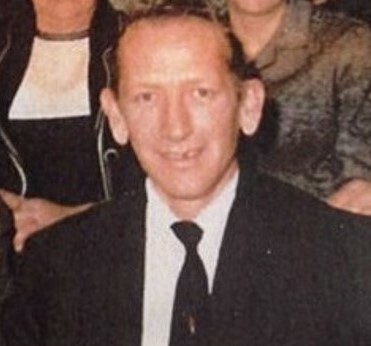 With the Jones surname being so common, my searches were not rewarded with solid results, but I was able to build Donald’s family tree and discover that he was one of eight children born to George Alvin Jones (1887–1957) and Alena Kate Pemberton (1899–1969), and Donald also had two half siblings from George’s previous marriage. Using public databases and social media websites, we were able to contact some of Donald’s first cousins. Unfortunately, the cousins from this very large family had lost touch with each other. None of the relatives we contacted had details or contact information for Donald’s two known children. One cousin in Arizona, thought that Donald’s son had also passed away and was able to send Rob a photo from a family reunion that included Donald and some of his siblings. Armed with the extended family tree I had built, I then turned to using DNA to find living relatives. 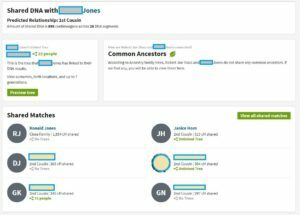 Rob’s Y-DNA results at Family Tree DNA revealed matches with a mix of surnames that included Jones. 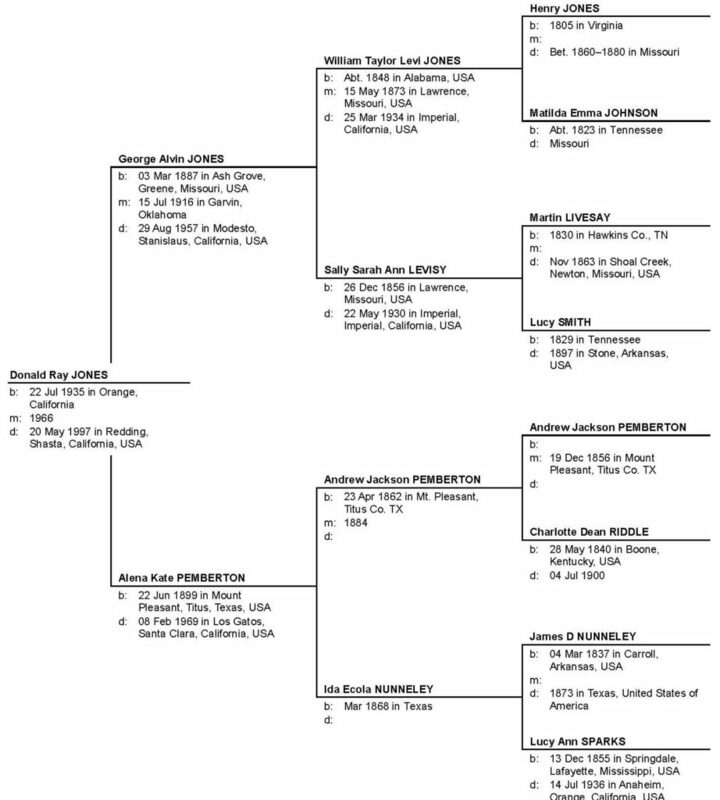 Rob and his four maternal half siblings also did the autosomal DNA (aka Family Finder) test at Family Tree DNA. Using his maternal siblings’ information allowed us to sort maternal and potential paternal matches from Rob’s match list. Due to small size of the database in 2015, I was unable to find any close family. After uploading the available raw DNA data to GEDmatch, testing with AncestryDNA (2015), and uploading the DNA data to MyHeritage (2016), I was able to slowly make progress. Little by little matches from various descendants of Donald’s ancestor were appearing in Rob’s DNA match lists. DNA evidence was analyzed and cited, and the search for Donald’s two children continued. And then this happened! Eureka! 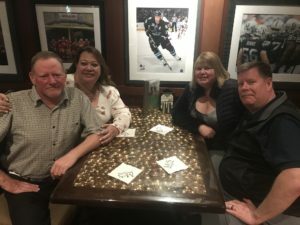 A new “Close Family” match popped up on Ancestry on 10 February 2019. Typical relationships in this category include half sibling, full uncle, grandfather, or grandson. Ronald didn’t match Rob’s maternal siblings. After four years of waiting, we finally had a close paternal match! We were quickly able to rule out uncle (all known uncles died), grandfather (died in 1957), and grandson (Rob had none yet). Ronald was not the name of the son listed in Donald’s obituary. Had we stumbled upon an unknown sibling? He had no family tree posted, but his profile indicated he was in his 50s and lived in California, same as Rob. 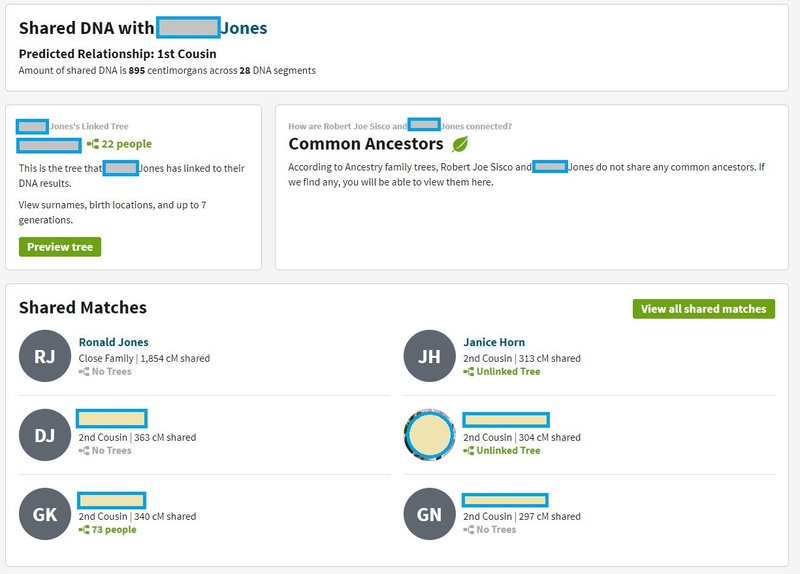 I sent a message through Ancestry on February 10 asking about interest in sharing family information. With the frequent low response to messages sent via Ancestry, how long would we have to wait for a response? Imagine my gleeful reaction to this message from Ronald the very next day. “Hi Kristina, I can only tell you I’m 50 and my dad’s name was Donald Ray Jones. He bounced when I was 5 [months.] I have lived in California my whole life.” Within hours, two brothers who never knew each other were talking for the very first time. Despite not being raised together, these two brothers have so many things in common. They are both left-handed. They are both certified umpires and coached baseball. They both have a passion for golf. On 9 March 2019, Rob, Ronald, and their wives had their first in-person meeting. 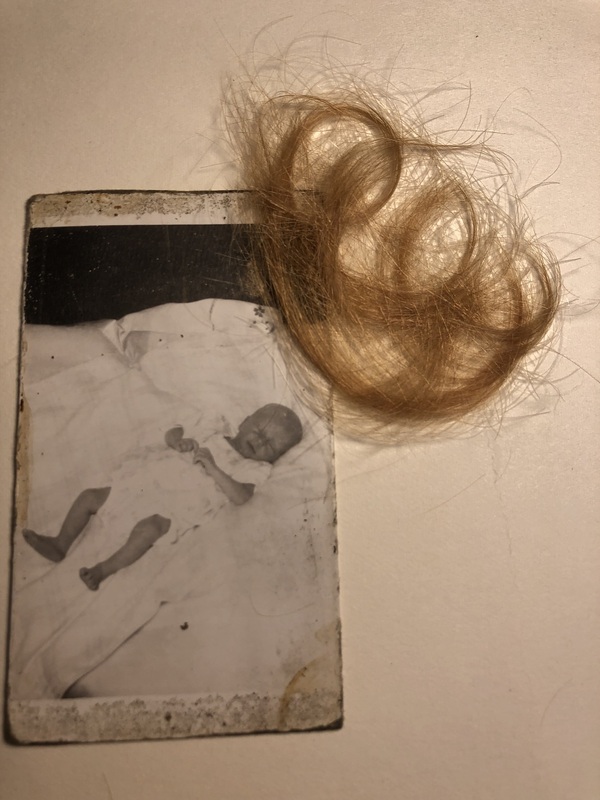 With this new family connection, I was determined to find the two children listed in Donald’s obituary. I knew finding Donald’s daughter would be more difficult, as women’s last names change throughout their lifetimes due to marriages and divorces, so I decided to focus on his son that lived in North Carolina in 1997. Using a combination of searches at Ancestry, PIPL, TruePeopleSearch, and Facebook websites, I stumbled across a Facebook page for a man with the right name that had a strong resemblance to the men in the photo Rob had received in 2015, but this man’s last post was also in 2015. His friend’s list had only one person with the surname Jones. Chris Jones was from the city in North Carolina listed in the obituary. I sent a message via Facebook and hoped Chris would check the elusive “message requests” folder and that I had finally found the right Jones family. I was rewarded with an almost immediate response and was pleased to learn that Rob’s brother is still living. Chris also mentioned that he had recently done the AncestryDNA test. The amount of shared DNA between Rob and Chris was typical for a half uncle/nephew relationship, and shared matches were confirmed from various lines of the Jones family tree. I had indeed found the right Jones family! Within a few days, Rob was able to connect with his sister via Facebook. Plans are being made for a reunion later this year. In the meantime, the children and grandchildren of Donald Ray Jones are exchanging phone calls and messages and getting to know each other. © Kristina Gow Clever; CleverGeneticAncestry@gmail.com. Kristina is a Professional Genealogist who specializes in genetic genealogy. She is Vice President of the West Florida Genealogical Society and a board member of the Baldwin County [Alabama] Genealogical Society. She completed the Boston University Genealogical Research course in 2018 and gives presentations regarding the use of DNA as genealogical evidence. Robert Sisco, Ronald Jones, Chris Jones, and Velma Sue Sisco have granted permission to publish their data. “California, Divorce Index, 1966-1984,” database, Ancestry (http://www.ancestry.com : accessed 25 March 2019), entry for Ray E Sisco and Velma W Payne, January 1966; citing “California Divorce Index, 1966-1984,” Center for Health Statistics, California Department of Health Services, Sacramento. 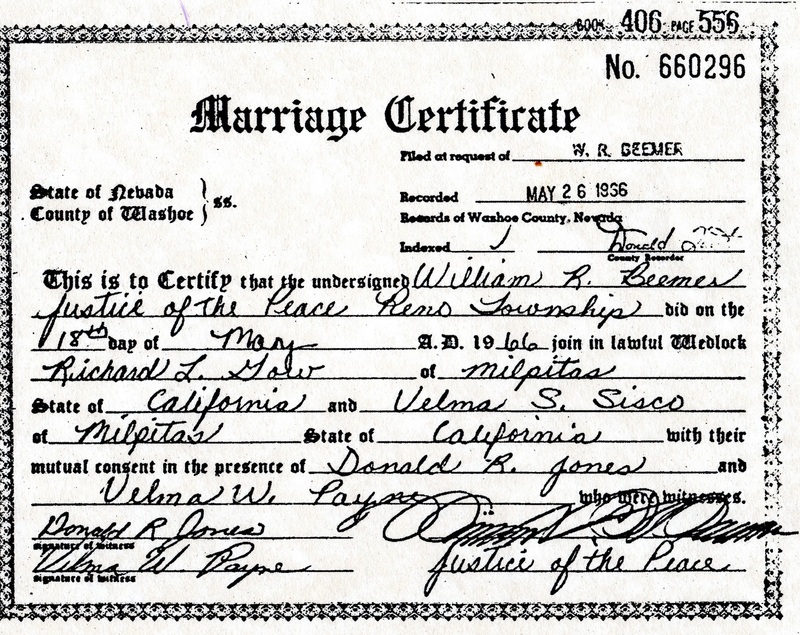 Washoe County, Nevada, Marriage Certificate, book 406, page 556, no. 660296, Richard L. Gow and Velma S. Sisco, 18 May 1966. 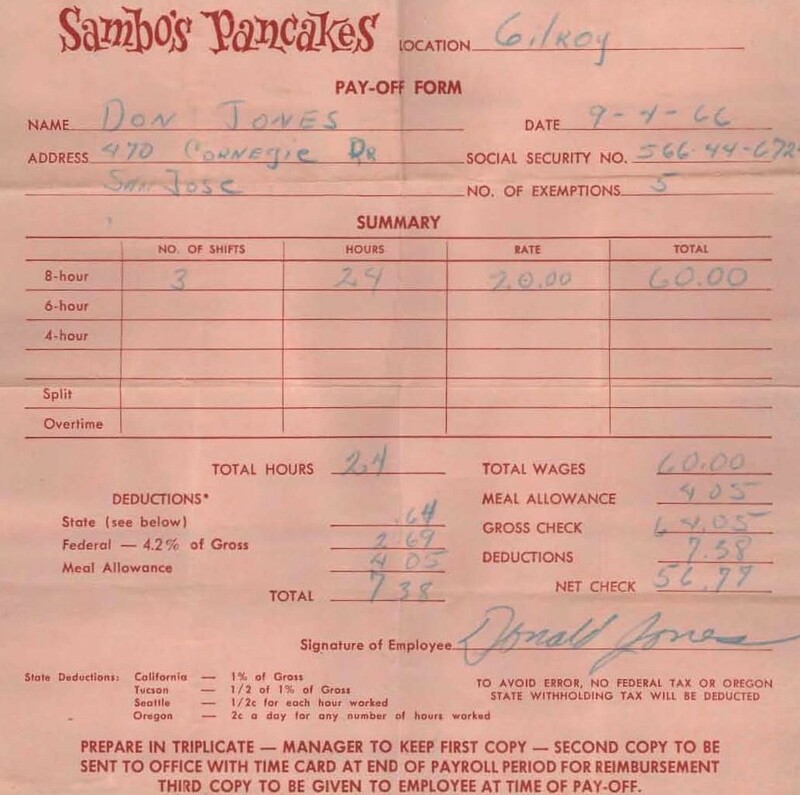 Don Jones, SSN 566-44-6724, 470 Carnegie Drive, San Jose [Milpitas, California], Sambo’s Pancakes Pay-Off Form, 4 September 1966; original privately held by Kristina Gow Clever (callykris66@gmail.com), 33667 Field Stone Lane, Lillian, Alabama, 2019. 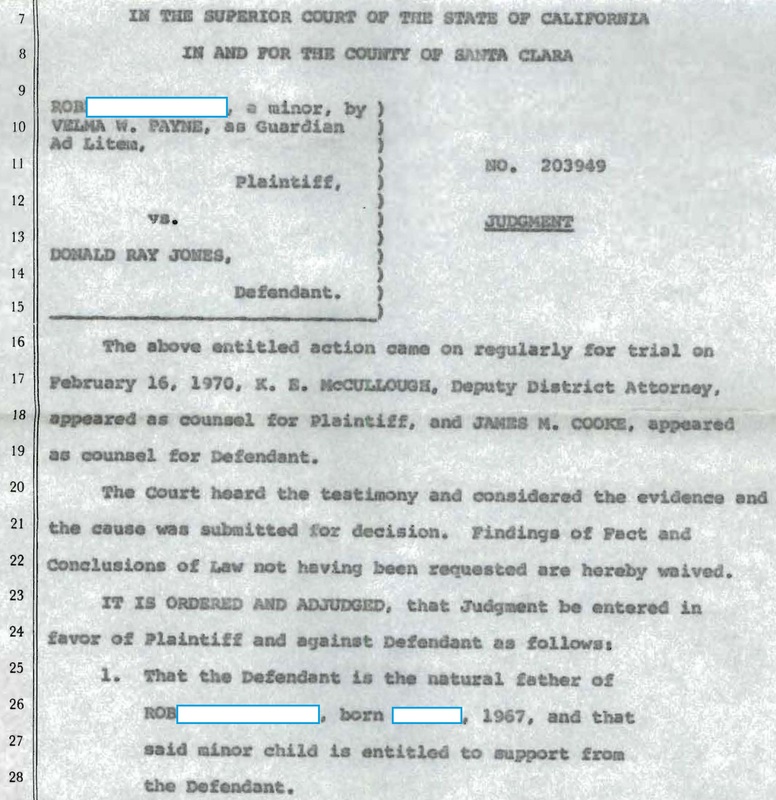 Henry Culp, Deputy District Attorney, County of Santa Clara, California, to Mrs. Velma W. Payne, 3304 Senter Road, San Jose, California, letter dated 3 July 1969 regarding Robert Joe Sisco, a minor, by Velma W. Payne, as Guardian Ad Litem vs Donald Ray Jones; original privately held by Kristina Gow Clever (callykris66@gmail.com), 33667 Field Stone Lane, Lillian, Alabama, 2019. Santa Clara County, California, Superior Court, Judgement No. 203949 (1970), Robert Joe Sisco, a minor, by Velma W. Payne, as Guardian Ad Litem, Plaintiff, vs. Donald Ray Jones, Defendant; original privately held by Kristina Gow Clever (callykris66@gmail.com), 33667 Field Stone Lane, Lillian, Alabama, 2019. 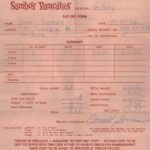 Don Jones, SSN 566-44-6724, 470 Carnegie Drive, San Jose [Milpitas, California], Sambo’s Pancakes Pay-Off Form, 4 September 1966. Santa Clara County, California, Superior Court, Judgement No. 203949 (1970), Robert Joe Sisco, a minor, by Velma W. Payne, as Guardian Ad Litem, Plaintiff, vs. Donald Ray Jones, Defendant. “U.S., Social Security Applications and Claims Index, 1936-2007,” database, Ancestry (http://www.ancestry.com : accessed 7 January 2015), entry for Donald Ray Jones, SSN 566-44-6724, 15 May 1997. 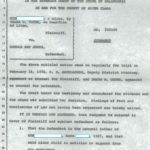 “Donald Jones,” Record Searchlight (Redding, California), 23 May 1997; online transcription, GenealogyBank (www.genealogybank.com : accessed 7 January 2015). Kristina Gow Clever, comp., “Kristina Family Orchard and DNA,” Ancestry (http://ancestry.com : 23 March 2019. 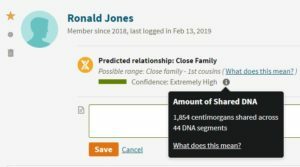 “AncestryDNA results for Robert Joe Sisco,” database report, AncestryDNA (http://www.ancestry.com : accessed 10 February 2019), predicting close family genetic relationship with Ronald Jones sharing 1,854 cMs across 44 DNA segments. 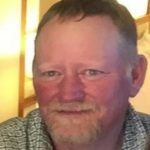 No family tree posted, but profile indicates he is in his 50s and lives in American Canyon, California. Blaine Bettinger, “August 2017 Update To The Shared cM Project,” The Genetic Genealogist (https://thegeneticgenealogist.com/2017/08/26/august-2017-update-to-the-shared-cm-project/ : viewed 13 April 2018). Ronald Jones to Kristina Gow Clever, message dated 11 February 2019; electronic copy privately held by Kristina Gow Clever (callykris66@gmail.com), 33667 Field Stone Lane, Lillian, Alabama, 2019. 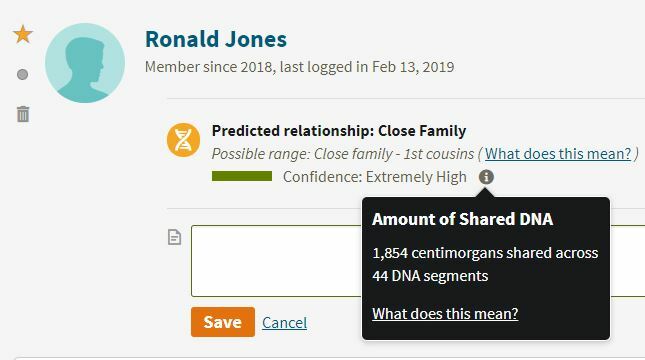 “AncestryDNA results for Robert Joe Sisco,” database report, AncestryDNA (http://www.ancestry.com : accessed 26 March 2019), predicting 1st cousin genetic relationship with Donald [Chris] Jones sharing 895 cMs across 28 DNA segments. Great post! I love all the evidence and images you provided and the clear explanation. Glad to see a happy ending to his search!